Coventry University have partnered with a Lancashire-based environmental company to help increase the amount of wildlife and environmentally-friendly areas in urban areas. SEL Environmental have entered into a Knowledge Transfer Partnership (KTP) with the University’s Centre for Agroecology and Water Resilience (CAWR), to deliver the benefits of green space and wildlife friendly habitats into the heart of urban areas. This will be done by new environmentally friendly roof designs and material composition resulting in measurable benefits to the local ecology. 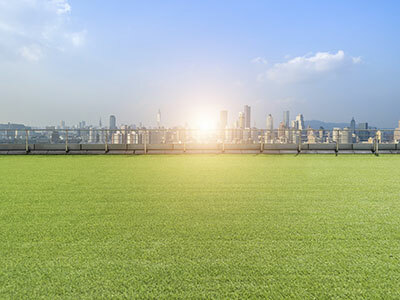 SEL Environmental is a specialist provider of sustainable drainage, rain water management and contaminated land remediation systems within the UK building, civil engineering and sports sectors. The company work closely with architects, engineers, and developers to promote best practice, leading to project specification for SEL products and systems. Knowledge Transfer Partnerships are part-funded by Innovate UK, and are designed to help companies improve their competitiveness and productivity through the better use of knowledge, technology and skills. This is achieved by working in partnership with a university and graduate project manager, leading to increases in profitability and growth for the business. For more information on Knowledge Transfer Partnerships or our wider Knowledge Exchange offering and how it could benefit your business, please visit www.coventry.ac.uk/knowledge-exchange or you can contact the team by calling+44 (0) 24 7615 8258 or emailing knowledgeexchange@coventry.ac.uk.